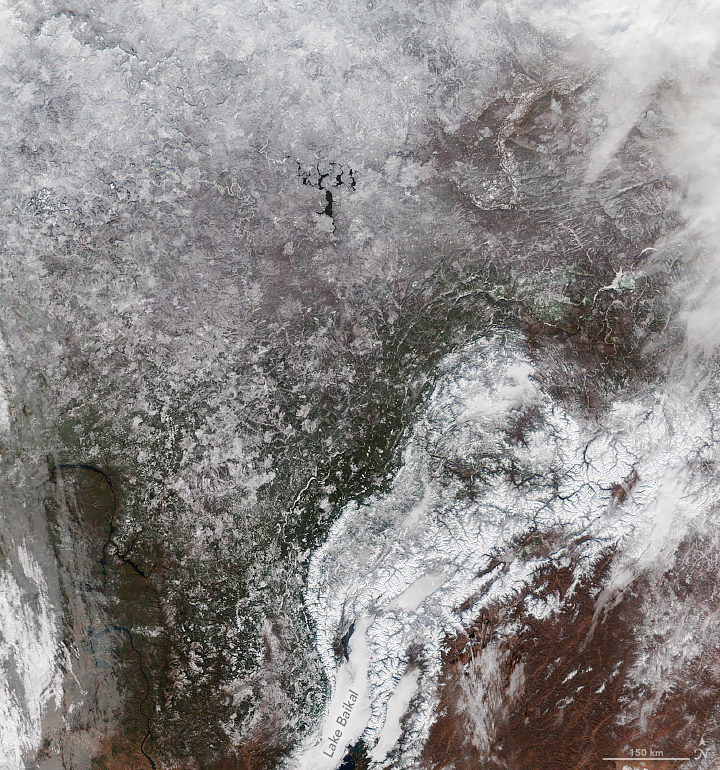 While many areas of the northern hemisphere are still decked out in the reds, yellows, and oranges of autumn, Siberia has just cloaked itself in one color: white. 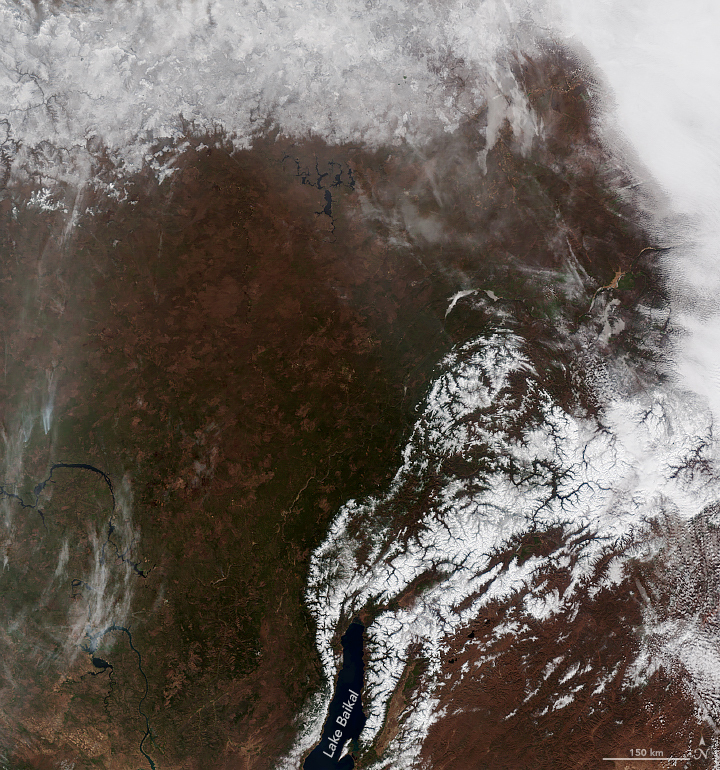 The Visible Infrared Imaging Radiometer Suite (VIIRS) on Suomi NPP acquired these images of southern Siberia. The left image was taken on October 14, 2018, while the right image shows the region covered with snow on October 29. While Siberian winter reaches full force around December, cold temperatures and snow start to settle in around October. The cold is largely due to a high-pressure atmospheric circulation system called the Siberian High, which is usually present from October to April and is centered around Lake Baikal. The weather system is accompanied by a mass of cold, dry air created by intense cooling of the surface layers over the continent as the seasons change and the days get shorter. The high pressure also steers storms away that can mix the atmosphere and bring warmer air into the region, which helps ensure cold, dry air stays in the region. Some forecasters look at October snowfall in Siberia as one proxy to gauge the severity of winters in North America—known as the Siberian Snow Theory. If there is extensive snow in Siberia in October, the Siberian High will become stronger. This can lead to a series of events that weaken the polar vortex, causing it to break up or collapse. 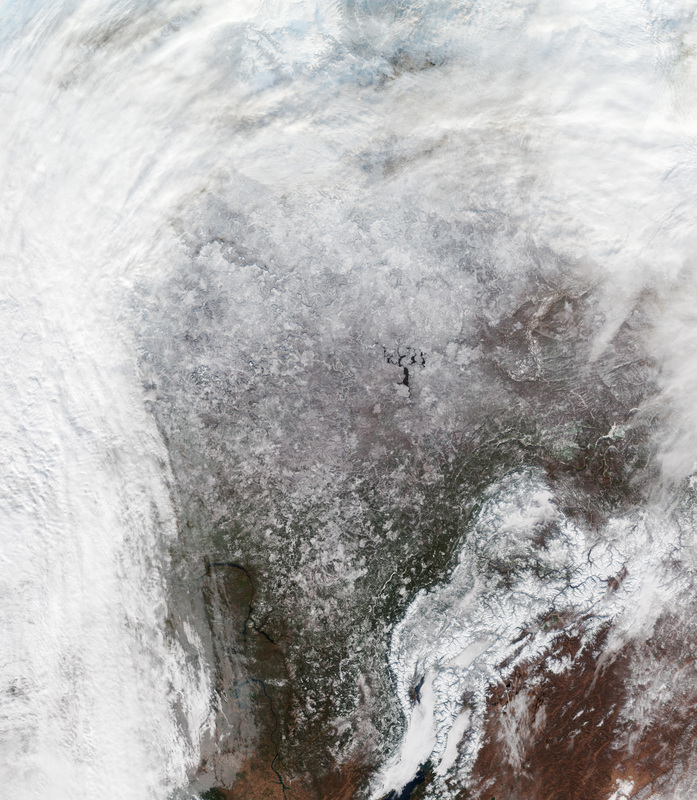 Pieces of the polar vortex can then travel to North America and bring more cold Arctic air. 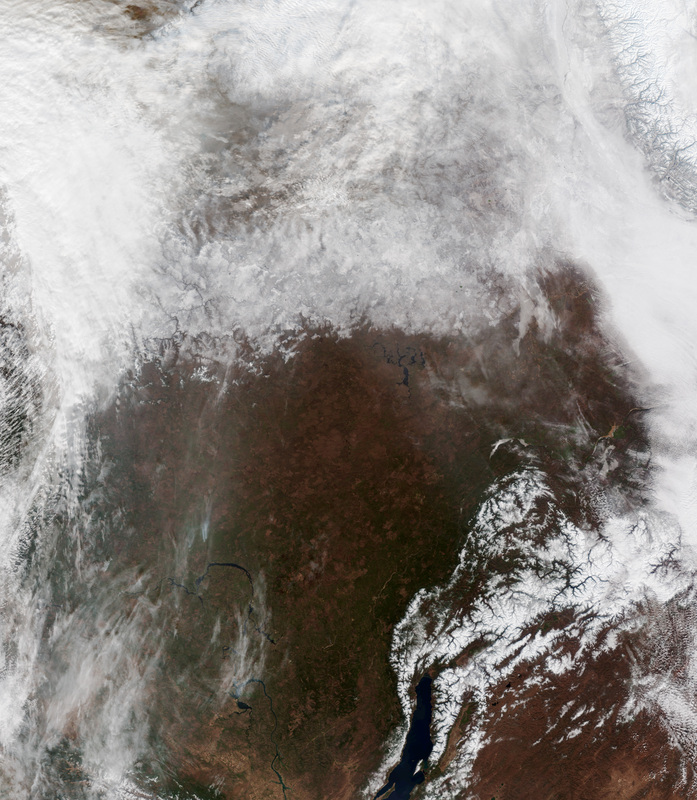 So far, snowfall in Siberia has been light this year. As of October 15, snowfall for Eurasia in 2018 was below average and near a decadal low. Bloomberg (2018, October 31) Siberian Snow No Help in Predicting New York's Winter This Year. Accessed November 2, 2018. Earther (2017, January 17) Why the Eastern Corner of Siberia Is the Coldest Inhabited Place on Earth. Accessed November 2, 2018. The Washington Post (2017, November 16) Snow in Siberia presents mixed signals about the winter outlook in eastern U.S. Accessed November 2, 2018. The Weather Network (2018, October 17) Canada is out-snowing the King of Winter. Accessed November 2, 2018. Tubi A., & Dayan, U. (2012) The Siberian High: teleconnections, extremes and association with the Icelandic Low. Royal Meteorological Society . Wikipedia Siberian High. Accessed November 2, 2018.